Victoria University invites students from the ASEAN region to apply for the ASEAN Undergraduate Tuition Fees Scholarship. The scholarship covers the tuition fees for the first year of study for an undergraduate degree commencing in 2015. Victoria University of Wellington is one of New Zealand’s oldest and most prestigious universities, and has an established tradition of excellence in research-based teaching. Victoria is ranked first among New Zealand universities by the New Zealand Government’s ranking of research performance of its academic staff. In the 2014 QS World University Rankings, Victoria is ranked in the top 50 in English Language & Literature and Law, in the top 100 in Education & Training, Politics, Psychology, and History and in the top 150 in a number of other subjects. 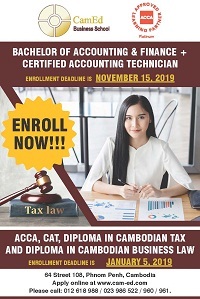 The purpose of this scholarship is to promote educational opportunities for young ASEAN students with an excellent academic record and leadership potential. You must be a citizen of an ASEAN country wanting to enrol in your first year of undergraduate study at Victoria University of Wellington, and be under the age of 23 on 31 December 2014. Please read the full eligibility criteria for this scholarship in the terms and conditions section of the application.